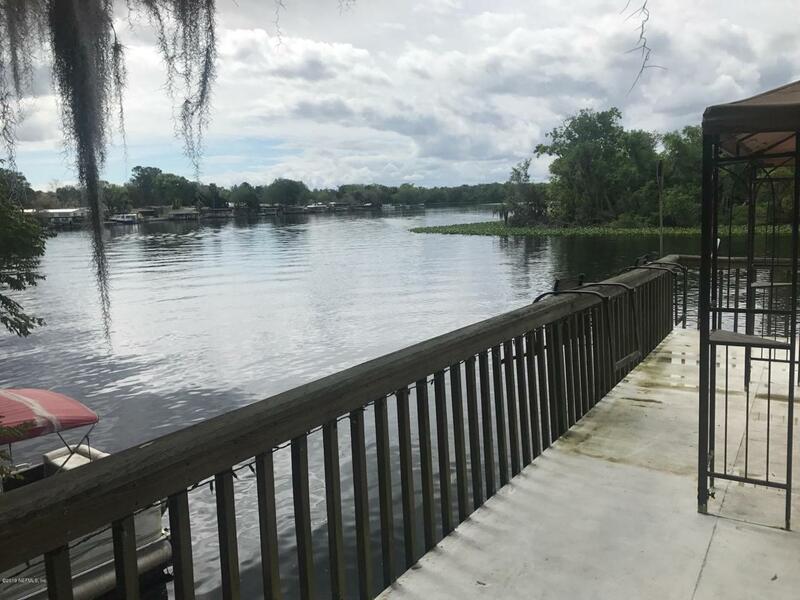 Two bedroom, two bath double wide mobile home with amazing views of the St. Johns river! 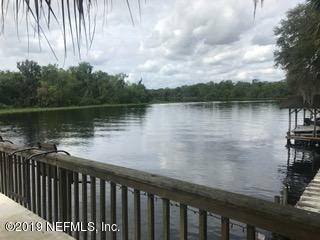 Open concept floor plan, wonderful porch on back overlooking the water, multiple docks and boathouse with lift, Very pretty lot on quiet dead end street. 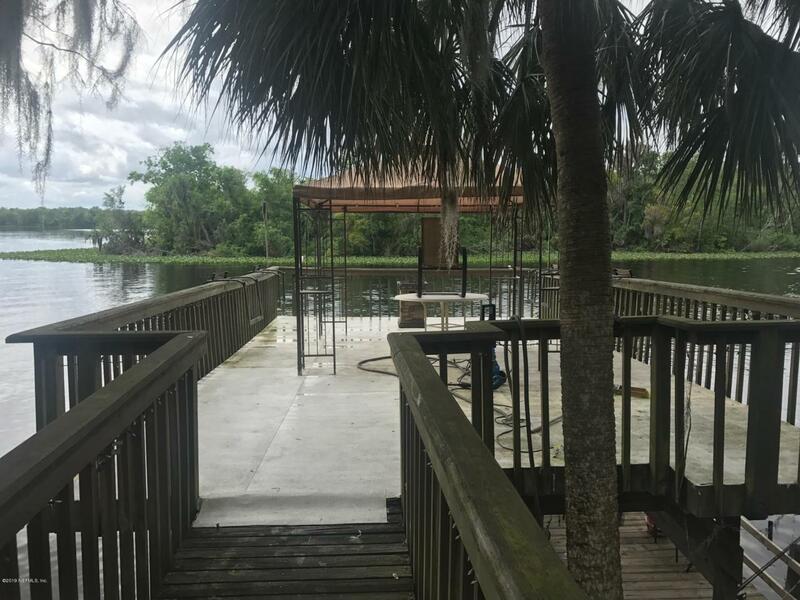 Fantastic fishing right from the dock!Brand new HVAC, reverse osmosis drinking water system. 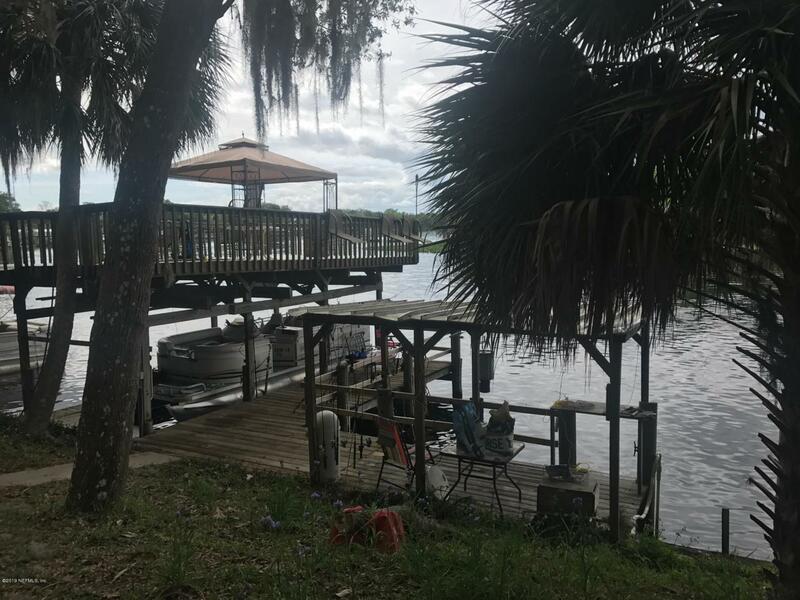 Furniture and pontoon boat are negotiable.